2. Combine all ingredients; bring slowly to boiling, stirring occasionally until sugar dissolves. 3. Cook rapidly to, or almost to, the jellying point (which is 8°F above the boiling point of water, or 220°F at sea level). Stir constantly to prevent sticking or burning. 4. 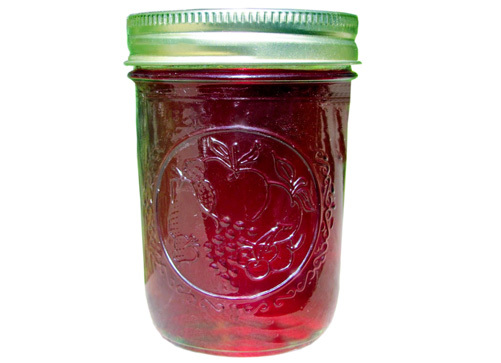 Pour hot jam into hot, sterile jars, leaving ¼ inch headspace. 5. Wipe rims of jars with a dampened clean paper towel; apply two-piece metal canning lids.